Reports that more than 10 percent of China's farmland has been polluted have prompted the first soil survey in the country to ensure food safety. Sources with the State Environmental Protection Administration (SEPA) said the inspection, which started in July last year, focuses on soil quality in some main grain-producing and industrial areas. They include Jiangsu and Zhejiang provinces in the Yangtze River Delta region and Guandong Province in the Pearl River Delta area as well as northeast China's Liaoning Province and central China's Hunan Province. By the end of last year, experts had collected and analyzed samples, and the data is being processed, said a senior SEPA official who did not want to be named. Even though China has collected extensive data on air and water pollution, there was no nationwide survey on soil pollution. This means there is no inventory of pollutant types or their distribution and volume in soil. Increasing reports about toxic food have led to soil pollution becoming a hot topic among the public and experts. SEPA figures show that 12 million tons of grains are polluted each year by heavy metals that have found their way into the soil, with direct economic losses exceeding 20 billion yuan (US$2.5 billion). According to a report in Oriental Outlook weekly, 10 million hectares of farmland, or 10 percent of the country's total arable land, have been polluted by wastewater, solid waste and other pollutants. The Yangtze River Delta region, the country's granary, has shown the results of soil degraded by heavy metals and persistent organic pollutants. The weekly said that 2,000 tons of mercury, from more than 2 billion tons of coal burned every year, finds its way into the soil and poses a threat to human health. Vegetables and fruits have also been polluted by excessive amount of nitrates in the soil. SEPA Minister Zhou Shengxian has said that China faces a serious soil pollution problem that jeopardizes ecology, food safety, people's health, and the sustainable development of agriculture, according to the Xinhua News Agency. 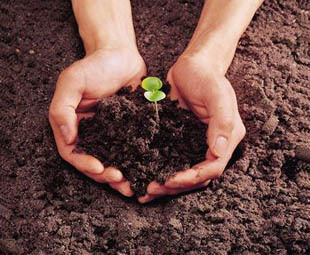 The central government has allocated 1 billion yuan (US$125 million) for the soil survey, which will be concluded in 2008. After the survey is completed, plans will be drafted for soil pollution prevention, pilot projects on soil treatment will be started, and a soil quality supervision and management system will be set up.